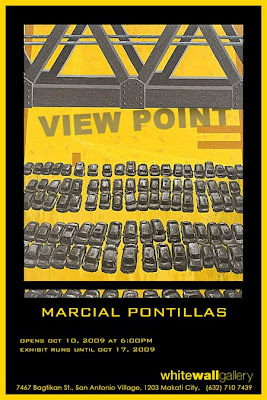 Whitewall Gallery presents an art exhibition entitled "Viewpoint" by Marcial Pontillas. Exhibit Opening will be on October 10, 2009 at 6pm. Exhibit runs until October 17, 2009.